This is no surprise, because Dawson’s music of choice for accompanying the Phasma novel is a heady mix of Mad Max: Fury Road and Star Wars. What’s not to love about that? 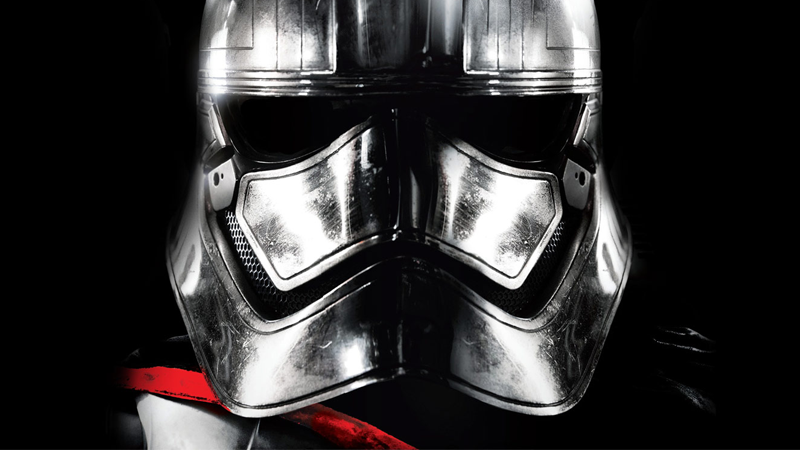 Speaking at the Lucasfilm Publishing panel at New York Comic Con today, Dawson revealed that she crafted a Spotify playlist of music to go with her process of writing the recently-released Phasma, one that we can now all listen along to as we read the finished book. And, as you might suspect, it’s a pretty fabulous playlist—mainly because it’s one part Junkie XL’s Fury Road work; one part Michael Giacchino’s excellent, quickly put-together Rogue One work; and one part John Williams in the form of The Force Awakens soundtrack. Fury Road’s frenetic, intense music makes sense for the novel, given that Phasma’s own origins revealed in the book feel very Mad Max-ian. And then, of course, Star Wars soundtracks—one from the film she debuted in, the next from the war-story spinoff—are solid choices, too. But Foster the People’s “Houdini” is a particularly inspired addition, to say the least, and one that makes sense when you get to the end of the book. If you’re looking to check out Phasma, this is a worthy aural accompaniment.